Build credit, monitor your credit score, keep an eye out for fraudulent activity and prevent identity theft, all with one simple tool. Keeping track of your credit isn’t always easy. You know you need to do it, but where do you start? There are so many programs now that claim to give you the big picture of your credit, especially with the increase in frequency of large-scale data breaches. Some financial tools can make all the difference between just getting by and actually succeeding. Credit monitoring services definitely fit that bill. They are not necessary to your everyday financial stability, but they can make all the difference if you’re trying to achieve an excellent or even good credit score. They can also help you protect your credit information and catch potential identity theft. 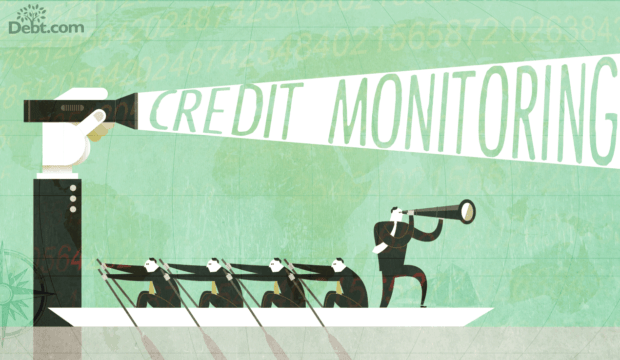 Credit monitoring refers to any tool that tracks changes in your credit reports and/or credit score. Most tools include both. A credit monitoring service alerts you to changes in the information contained in your credit report. In addition, it also tracks your credit score, so you know exactly where you stand. The best credit monitoring services monitor all 3 credit reports and scores. In most cases, the score it tracks is the VantageScore 3.0 or the scoring model from a specific credit bureau. Experian, Equifax and TransUnion each have their own scoring model. VantageScore was a model created by all three to compete against FICO. That’s the credit score used in 90% of financing decisions. You must provide your Social Security number for a credit monitoring service to work, since your credit reports are directly tied to your SSN. Once your account is set up, the system will flag anything that it thinks you should note in your credit report. If you believe a negative item that the tool flagged is an error or mistake, you go through credit repair. After the initial review, the service alerts you whenever there’s something new you should note in credit profile. It also notifies you to increases or decrease in your credit score. Credit monitoring services are pretty notorious for “charging you on the down low.” These are the services that offer you a free credit score. To get your score, you have to sign up to get credit monitoring using your credit card information. But the “free” only gets you one score and a free trial period that usually lasts for 30 days. If you don’t cancel the service, they automatically charge your credit card. Now, there’s nothing wrong with a free trial period. You can use it to make sure you chose the best credit monitoring service for your needs. But you need to go into that trial fully aware of what it is. Otherwise, you can get credit monitoring services you don’t want when you were just trying to get your score. 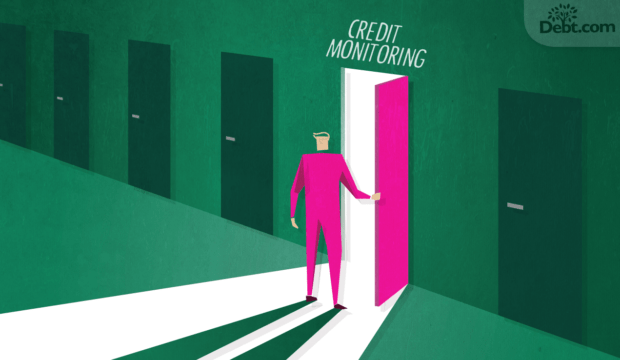 Some people think that monitoring your own credit will actually hurt it. It doesn’t. If you use a credit monitoring service with a score tracker, you can check your credit as often as you like. It won’t affect your credit score at all. The main goals of credit monitoring are to maximize your credit score and make it easier to spot signs of identity theft. So, monitoring is good for credit repair and identifying fraud. But not everything that’s negative in your credit history falls in those two categories. For example, if you missed a payment by more than 30 days, the creditor reports this information to the major credit bureaus. This creates a negative item in your credit report that sticks around for seven years. That’s a legitimate negative item and in most cases, you’re stuck with it until it expires. So, don’t think that a credit monitoring tool can instantly help you clear out all negative information from your credit report. It can’t. Just like third-party credit repair services can’t magically erase all negative items. Any service that claims to provide the ability to instantly fix everything wrong with your credit is a scam! Before you sign up for any service, make sure to check out the provider online. Make sure the company is rated by the Better Business Bureau; they should maintain an A rating or higher. You can also check out reviews on independent third-party review websites. Never believe the testimonials from the company, since they’ll only show you their top credit monitoring reviews. You can also check things like consumer reports and the rip off report, to make sure you’re not signing up for a scam! Need help keeping track of your credit? Try this tool first. By law, you have access to one free annual credit report per bureau every year. Getting all three of your reports and ensuring that they match up with your personal records is one way to monitor your own credit file. 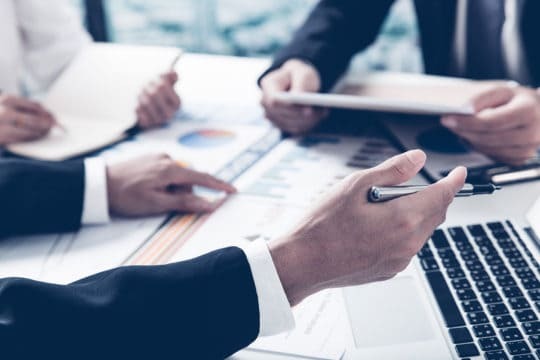 This is not nearly as thorough as any of the credit monitoring tools, however, so we recommend you combine the two methods.